↑ "World Heritage Properties in Thailand". UNESCO. สืบค้นเมื่อ 1 July 2012. ↑ "Historic City of Ayutthaya". UNESCO. สืบค้นเมื่อ 28 May 2010. 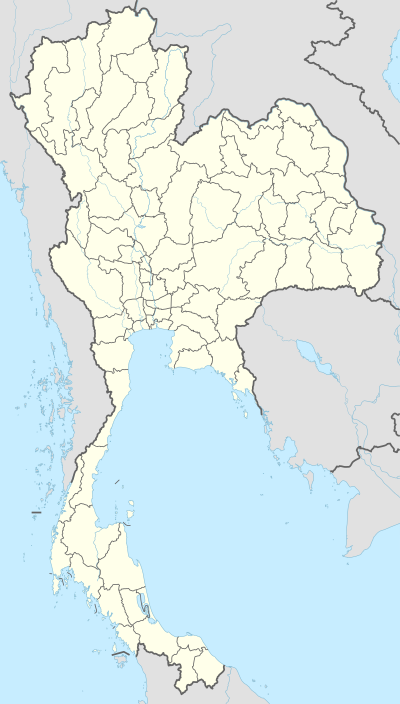 ↑ "Historic Town of Sukhothai and Associated Historic Towns". UNESCO. สืบค้นเมื่อ 28 May 2010. ↑ "Ban Chiang Archaeological Site". UNESCO. สืบค้นเมื่อ 28 May 2010. ↑ "Thungyai-Huai Kha Khaeng Wildlife Sanctuaries". UNESCO. สืบค้นเมื่อ 28 May 2010. ↑ "Dong Phayayen-Khao Yai Forest Complex". UNESCO. สืบค้นเมื่อ 28 May 2010. ↑ "Tentative Lists: Thailand". UNESCO. สืบค้นเมื่อ 15 April 2019. ↑ "Phimai, its Cultural Route and the Associated Temples of Phanomroong and Muangtam". UNESCO. สืบค้นเมื่อ 28 August 2012. ↑ "Phuphrabat Historical Park". UNESCO. สืบค้นเมื่อ 28 August 2012. ↑ "Kaeng Krachan Forest Complex". UNESCO. สืบค้นเมื่อ 28 August 2012. ↑ "Wat Phra Mahathat Woramahawihan, Nakhon Si Thammarat". UNESCO. สืบค้นเมื่อ 28 August 2012. ↑ "Monuments, Sites and Cultural Landscape of Chiang Mai, Capital of Lanna". UNESCO. สืบค้นเมื่อ 10 April 2015. ↑ "Phra That Phanom, its related historic buildings and associated landscape". UNESCO. สืบค้นเมื่อ 18 March 2017. ↑ "Ensemble of Phanom Rung, Muang Tam and Plai Bat Sanctuaries". UNESCO. สืบค้นเมื่อ 15 April 2019. ↑ "The Ancient Town of Si Thep". UNESCO. สืบค้นเมื่อ 15 April 2019. หน้านี้แก้ไขล่าสุดเมื่อวันที่ 15 เมษายน 2562 เวลา 22:47 น.